Women have the right to choose how and where to give birth, but they do not have the right to put their baby at risk… Home delivery is an option for mothers with uncomplicated pregnancies, provided they are advised of the risks involved, have one-to-one midwife care (that includes good resuscitation skills and accreditation by a local regulatory body), and live in a location that allows quick access to obstetric care. In other words, American women would need to be advised that homebirth with a homebirth midwife (CPM) is unsafe because the midwives do not meet the education and training standards for safety, have no experience with expert neonatal resuscitation, and there is no dedicated transport system that allows quick access to expert obstetric care. These are among the points that I made when interviewed yesterday on FoxNews Fox & Friends. Also interviewed was Joanne Davis, CNM, PhD who pointed to flaws in the most recent homebirth study. That study may indeed be flawed, but the fact is that ALL the existing evidence on homebirth in the US shows that homebirth increases the risk of neonatal death. Indeed a paper published earlier this year in the Journal of Perinatology analyzed homebirths attended by a certified nurse midwife (CNM) and found that they had double the risk of neonatal death of CNM attended hospital births, even though the hospital birth cohort included high risk patients. But that distrust has turned into a form of “reflexive doubt” that constantly challenges conventional wisdom in a belief that “smart, empowered people don’t listen to their doctors,” said Tuteur. Some mothers have become increasingly competitive about how natural their births are, she said. 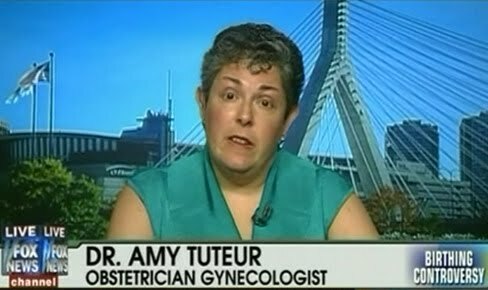 And I emphasized to the interviewer that American women need to be aware of the biggest red flag of all: MANA (Midwives Alliance of North America), the trade and lobbying organization for homebirth midwives, has collected neonatal death rates for homebirth since 2001 but they are hiding that data from American women. Even homebirth midwives know that homebirth increases the risk of neonatal death, but they are doing everything they can to make sure that American women do not find out the truth.